Astrology is a symbolic language of energy, and when we come to see how its inherent patterns are so artfully aligned with the turning of the seasons and the rhythms of the earth itself, it becomes a richly evocative language that can empower us to find our own connection to the immanent divinity in nature and ourselves. 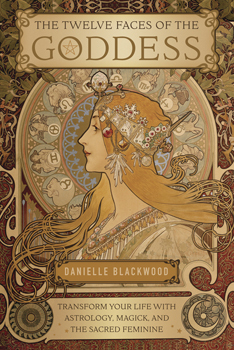 In this book, you will learn how to personally connect with the twelve faces of the Goddess through astrology, story, ritual, and guided meditation. As you read about the myths associated with each goddess, you may notice parallels in your own life, which will lead to a deeper and more profound understanding of the archetypal motifs unfolding on your path. In recognizing the mythological themes playing out in your story, you will be inspired to new levels of self awareness and personal empowerment, as well as gaining a renewed sense of realization that your life is a sacred journey, with you as the protagonist.